Will New York Legalize Online Poker in 2015? The question on the minds of many New York residents is whether the state will become the fourth one to legalize online poker. New Jersey, Nevada and Delaware recently completed their first full year of legalized iGaming and now several others are taking up the issue with bills either already introduced or expected to be sometime this year. New York is one such state that is expected to introduce a new online poker measure to take advantage of momentum gained in 2014. Last year, Assemblyman Gary Pretlow and Senator John Bonacic introduced measures that would have legalized online poker but neither measure went to a vote. While online poker failed to gain traction in the state legislature, it gained ground in the court of public opinion. MGM Resorts International commissioned a survey to check the pulse of New York residents regarding online poker. In addition, they crunched the numbers to see what type of impact a legal iPoker market would have on the state. The results were quite remarkable. • New York residents have sent hundred of millions in unregulated online poker sites since 2006. • If legalized, online poker could generate between $50 million and $80 million in tax revenues for the state by 2025. Will Other States Prompt New York to Move Forward? When Nevada legalized online poker in 2013, New Jersey quickly legalized iGaming in order to keep pace. New York could be facing a similar predicament should they hope to keep pace with other states. Pennsylvania is one of the front-runners for iPoker legalization in 2015 and many forecast that they will have games up and running by 2016 at latest. With two neighboring states offering online poker, the increased competition could have an impact on overall gambling win. As such, New York could be forced to take the plunge into legalized iGaming to provide a viable option for gamblers wanting an alternative to brick and mortar gambling. Also, while many of the larger online poker sites were forced offline in 2011, there are some that allow U.S. players to still play. Residents are taking a risk playing at these sites as there are no guarantees that they will receive their funds should they win. For now, residents are waiting to see what the new bill will contain. Solid progress has been made in the last couple of years and many hope that 2015 is the year online poker is legalized in New York. 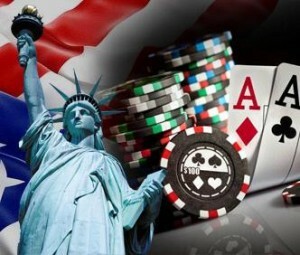 Tagged New York, online poker legalization. Bookmark the permalink.